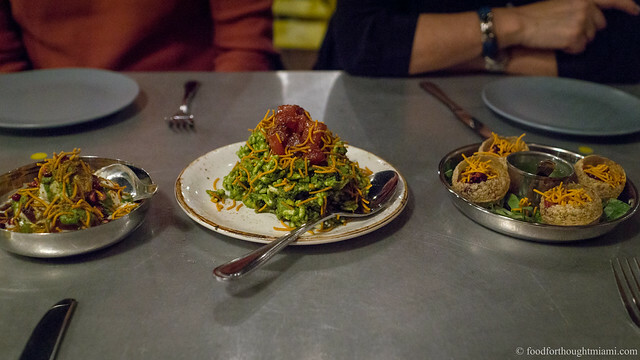 Chef Jerrod Verbiak will be cooking a four course dinner (no menu posted), paired with eight of Alsatian vintner Domaine Lucien Albrecht 's wines. 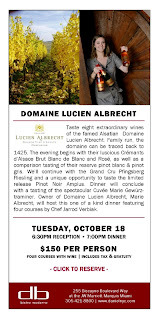 Domaine Lucien Albrecht's owner Marie Albrecht will host. Reception at 6:30pm, dinner starts at 7:00pm, spots are $150 per person including tax and gratuity. Sign up here. Dinner starts at 7:00pm, price is $69 per person plus tax and gratuity. Contact the restaurant for a reservation. Dinner starts at 8:00pm and is $150 plus tax and tip. Contact the restaurant for a reservation.